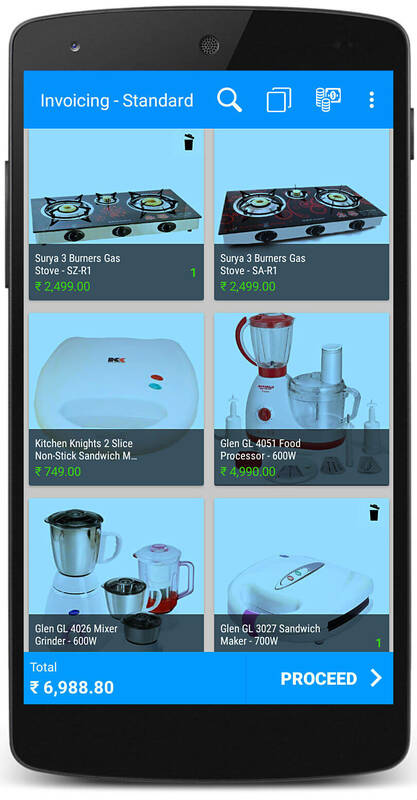 Kitchenware Software POS system for kitchenware and homeware stores with billing, customer loyalty, inventory management for single or multi-store. Kitchenware is one kind of business, it will have small products to large types of equipment which can fit for a household to big restaurants. Warehouse and inventory management, Distribution, accounting, overall tax calculations etc are some of the issues of the business. Mainly billing and having records of all the products sold including warranty details are hectic. Just billing kitchenware software is complete kitchenware solution which brings out owner from a lot of hard and time taking tasks. It keeps a detailed recording of invoices, sales, purchases, expenses, customers, suppliers, inventory etc. You don’t need to hire an accountant for doing accounts and tax calculations. Software automatically does your accounting process and tax calculations according to rules of your country/state. Just billing act as accountant creates all the necessary accounts according to the transactions recorded. It does all the accounting process automatically till the final balance sheet with 100% accurate. Instead of searching where the product is, Just scan the barcode on the product which directly takes you to the payment stage. Just billing supports all kinds of barcode scanners, even you can scan with mobile. Just billing gives you different sales reports, which helps to analyze the business to become more successful. It shows the reports in the graphical presentation which make anyone understand in an easy way. Card, cash, cheque, wallets let the customer decide how to pay. Giving more convenience to the customer will make to build good relation. There are chances to incur unnecessary extra expenses in store, warehouse, distribution, maintenance etc. We all need to know where the money is going. Recording and analyzing the expenses on regular basis will improve the financial health of the business. Adding technology to business always boost up business the high and keep one step ahead of competitors. It improves the business strategies, marketing methods, customer service, competitive advantage, knowing buyers preference, latest trends etc. When we have a large number of inventory, it becomes hard to keep track of the stocks which can create trouble business operations. Just billing is an auto inventory tracking manager which can update when any sale transaction takes place. Did your system or phone got damaged in which software is using? No worries, just billing takes an auto update of all the date and keep a backup in the highly secured cloud on regular basis. Download and follow simple steps to setup Just Billing Kitchenware Software.